Forget spotlights, it’s a good old-fashioned light shades for the light bulbs in my house. Especially in the kids’ bedroom, I think a beautiful shade tops off the decor and let’s face it, it’s something interesting to look at when lying in bed! 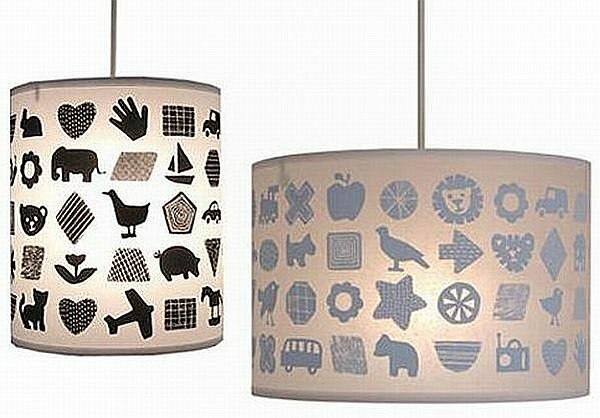 These lovely drum shades are simple and suitable for all ages. Inspired by vintage books and toys, British-based designer Helen Rawlinson designs and screen prints these by hand. There’s a collection of different shapes for children to identify with – I love that you can hang this in a nursery and it’s just as suitable when your baby gets to ten as when they were a newborn. It could literally become part of the furniture! Available in a selection of different colours, prices start at £36 plus shipping costs. 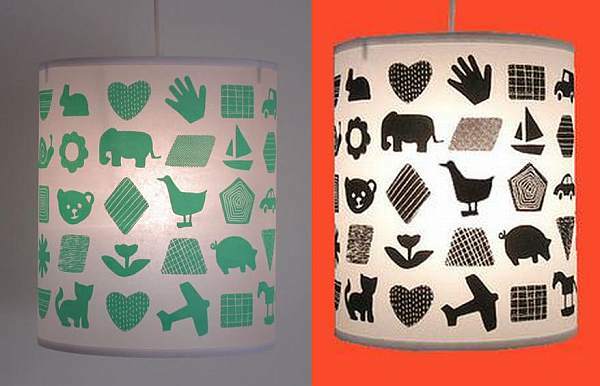 Check out Helen’s whole lighting range on her website or Etsy shop – it’s really quite illuminating!